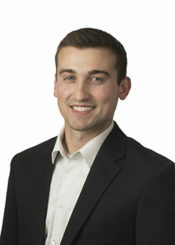 Dylan is an Associate for Westwicke in Baltimore and joined the Medical Technology and Diagnostics team in March 2019. He supports senior team members through in-depth research and data analysis and his daily responsibilities include maintaining and updating the firm’s proprietary software and databases, preparing quarterly shareholder reports and institutional account profiles, developing consensus models, and tracking trends in the healthcare sector. Dylan holds a B.A. in Economics from Salisbury University.